In today’s New York Times opinion section, there’s a thought-provoking piece by Bess Lovejoy, author of the forthcoming book Rest in Pieces: The Curious Fates of Famous Corpses . The column, titled “The Dead Have Something to Tell You,” provides a look at how death has drifted away from home, now handled by professionals. She also provides some good info on the growing use of hospice care in the U.S.
Over the last century, as Europeans and North Americans began sequestering the dying and dead away from everyday life, our society has been pushing death to the margins. We tune in to television shows about serial killers, but real bodies are hidden from view, edited out of news coverage, secreted behind hospital curtains…. The erasure of death also allows us to imagine that our mortal trivialities and anxieties are permanent, while a consistent awareness of death — for those who can stomach it — can help us live in the here and now, and teach us to treasure what we already have. In fact, a study by University of Missouri researchers released this spring found that contemplating mortality can encourage altruism and helpfulness, among other positive traits. This idea probably would have seemed stranger half a century ago than it does now. While death is still largely absent from our lives, we’re starting to be a little more comfortable talking about it. Since the mid-1950s, a growing body of academic literature has sprung up around death, dying and grief. Cultural products that deal with corpses — everything from Mary Roach’s best-selling book “Stiff” to the Internet video series “Ask a Mortician” — are becoming more popular. “Death cafes,” in which people come together over tea and cake to discuss mortality, have begun in Britain and are spreading to the United States, alongside other death-themed conferences and festivals (yes, festivals). I held the first Death Cafe west of the Mississippi on September 30 and have the next one scheduled for Wednesday, November 7 at 5:00 p.m. Perhaps the results of the election will get us to ponder our mortality? 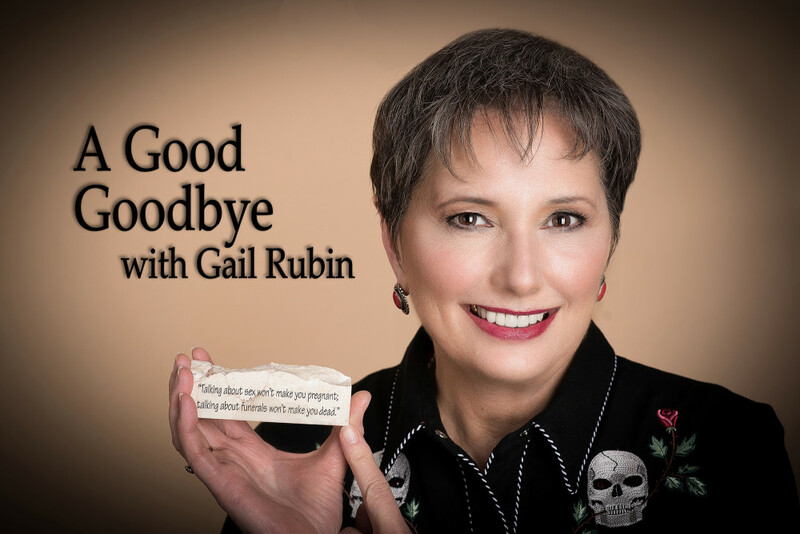 If you are in Albuquerque and interested in participating in this Death Cafe, send a email to Gail@AGoodGoodbye.com. It’s never easy to confront mortality, but perhaps this year, while distributing the candy and admiring the costumes of the neighborhood kids, it’s worth returning to some of the origins of Halloween by sparing a thought for those who have gone before. As our ancestors knew, it’s possible that being reminded of their deaths will add meaning to our lives.